bad pun intended. sadly. Tonight I watched 'MILK' the new Gus Van Sant movie. I was moved to tears pretty much throughout the entire movie. 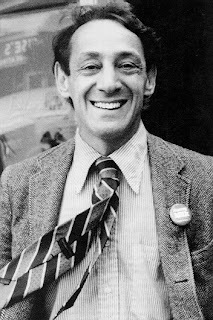 Harvey Milk was relentless in his fight for gay rights and although he died much too soon I think he would be proud of where we have come. Or maybe he would have been just what California needed to pass Prop 8. I am just blown away at the ignorance of some people. I can't stand people like Anita Bryant or anyone who raises their Christian flag and pretends to be so open and loving while denying a group their basic rights. Not very Christian. I really hope people just give this issue a rest. Let homosexuals have the right to get married! Stop trying to paint homosexuals as deviants. And if anyone is a threat to a society, it's close minded people. I really don't know what else to say. Just stop it and fix it.